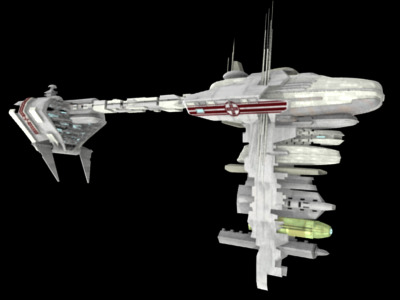 The Medicae-class is a modified version of the standard Nebulon-B frigate and serves many fleets as a hospital ship. 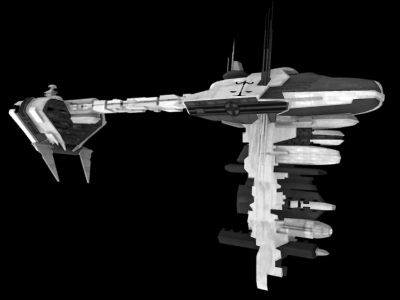 The standard Nebulon-B frigate is equipped with powerful sensors and deep-space multi-frequency antennas. These sensor and communication suites enable the ship to be used for scouting, command and control and search and rescue. 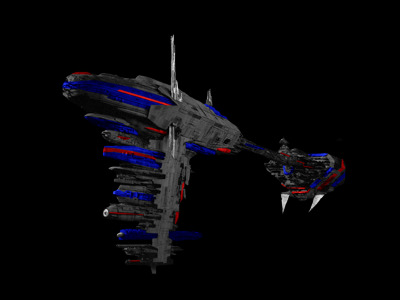 The impressive versatility demonstrated by the frigate, along with a growing need for mobile hospitals within the fleets, led to the eventual re-engineering of a Nebulon-B frigate into the Medicae-class variation. 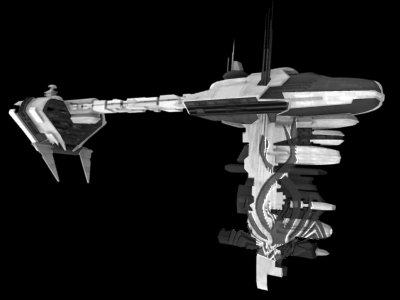 As a variant of the Nebulon-B frigate, the Medicae-class has the same hardware, such as turbolasers, heavy lasers, and sensor suite. The Medicae-class differs, however, with the inclusion of state-of-the-art medical facilities and more crew quarters to house the addition of a medical staff. Subsequently, the docking bay was removed and some weaponry and interior storage capacity reduced to make room for these changes. The first Medicae-class ships were made by refitting a standard Nebulon-B frigate, but the popularity and usefulness of the Medicae-class quickly became apparent and they are now produced in this variation directly from the shipyard. 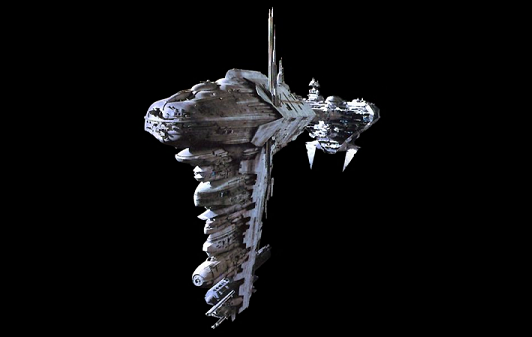 Later modifications to the design of the ship have seen the return of the docking bay, though at the expense of the loss of a number of weapon emplacements. This modification to the design has dramatically increased the efficiency of the Medicae, both by allowing smaller transport ships (such as the Sprint-class rescue craft) to dock, as well as being able to hold a squad of defensive fighters. 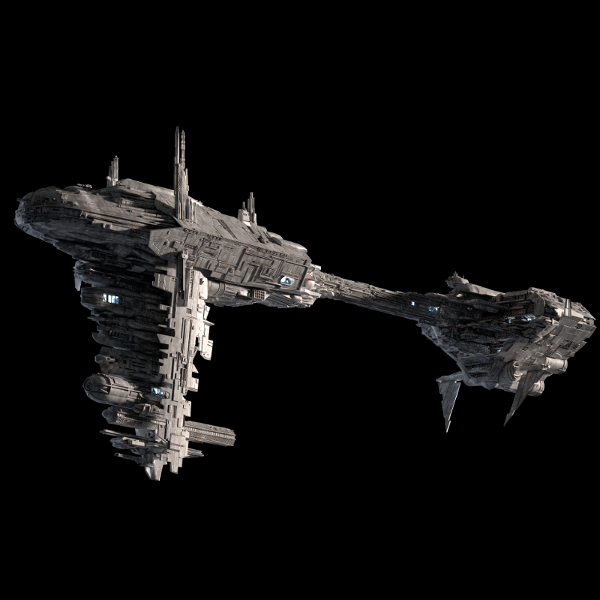 However, the modification has at the same time detracted from the ship's defense against other capital ships, and has made it incredibly vulnerable should it not be host to any fighters. The Medicae-class boasts four fully equipped medical rooms, which is more than any other capital ship. As a result of the modifications previously mentioned, specifically removal of the docking bay, the transfer of large numbers of patients and personnel now take much longer. This increase in time is a direct result of the ship having only one docking port, which is arguably the ship's only shortfall. This increase in critical time can affect the ship's effectiveness and involvement levels during large scale conflicts. Overall the Medicae-class Nebulon-B frigate has proven itself to be yet another success in the line of Nebulon-B frigates; it is also the largest hospital ship available and continues to hold a key position in any fleet. The ship has limited availability and is the envy of many a fleet commander. Besides providing the medical support required for a battle fleet, the ship can also be dispatched to provide aid and support for planets during times of crisis. Premier of all hospital ships, the Medicae-class is well equipped to perform its duties of mobile medical assistance.